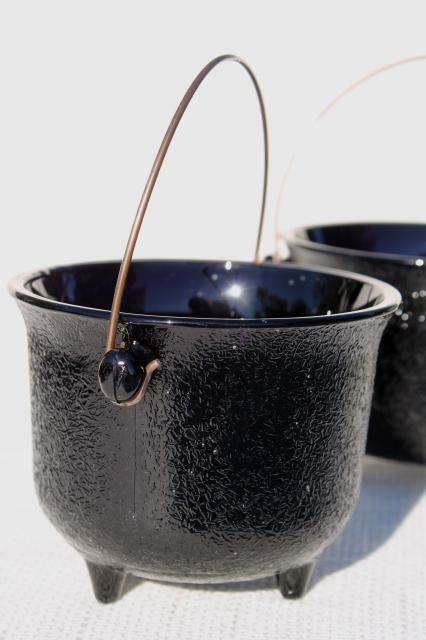 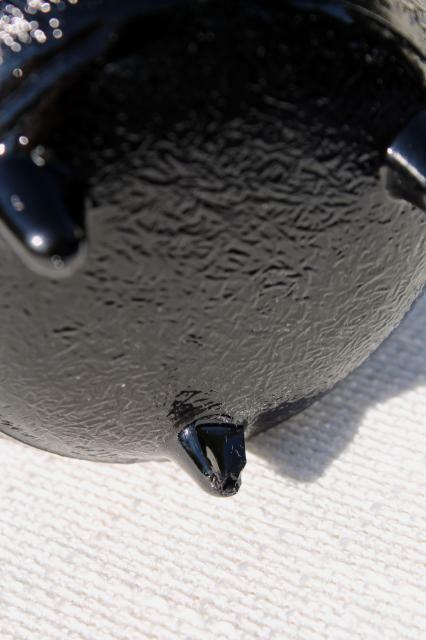 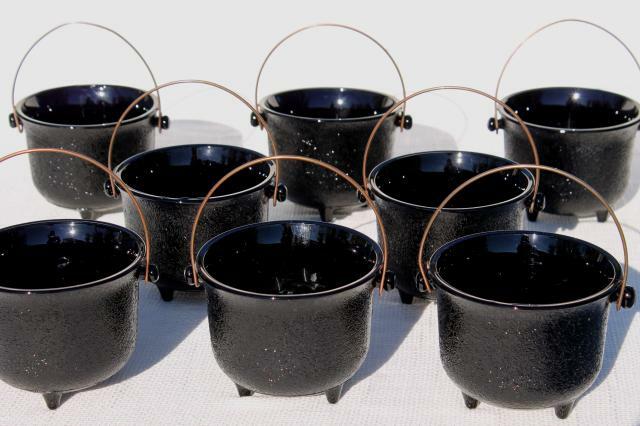 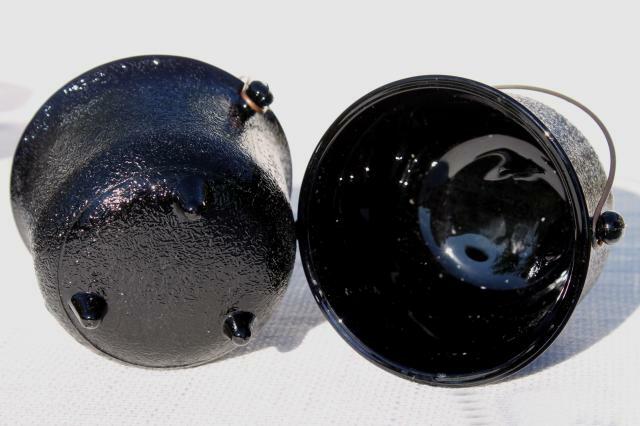 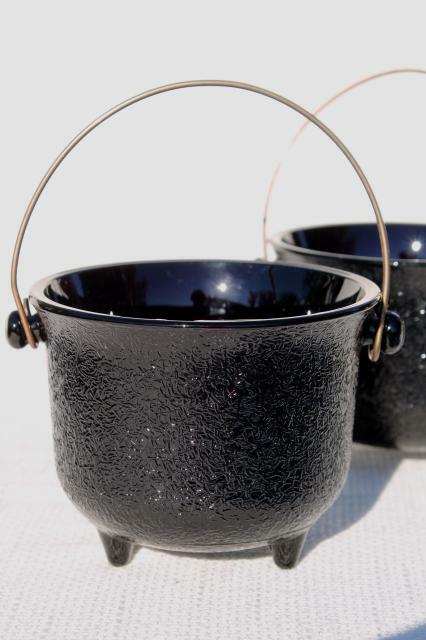 Set of eight black glass witches kettles to hold anything from candles to candy to soup! 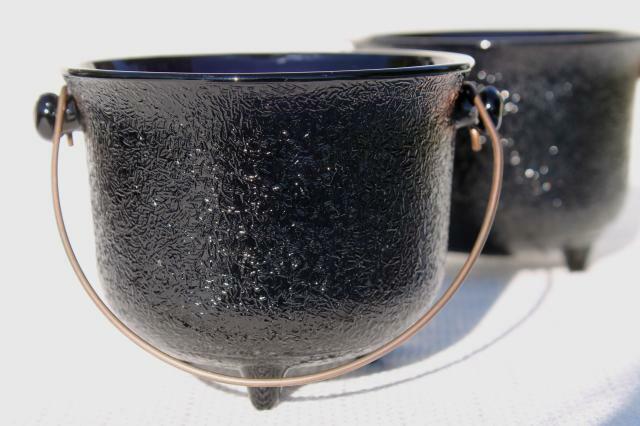 These are about 4 1/4" across the rims of the glass pots, and about 3 1/4" tall (not counting the wire handles). 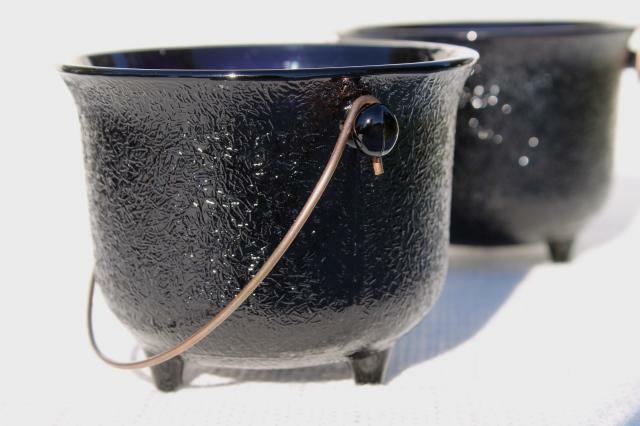 One of these has a chip to one foot, but overall they're in nice clean condition, perfect for your Halloween table of haunting decor!